Privacy-wise, these cameras might initially seem like no big deal — just a new take on the old video intercoms you’d see on jewelry stores in ’80s heist movies. But if you consider their dystopian possibilities, doorbell cameras raise many profound social, moral, economic and even political questions. While you figure that out, here are some other complications. Manually screening every face that appears at your door is a trudge. Luckily, software can do it for you. Through face recognition, doorbell cameras can be taught that certain people are friendly and others are not. This could be convenient: You’re traveling on business and you want to be alerted when your spouse gets home. But it could just as easily turn nightmarish: A domestic abuser wants to be alerted when his spouse gets home. Indeed, “smart home” gadgets are already becoming a key weapon of domestic abuse. Now imagine what might happen when the doorbell camera finds someone it doesn’t recognize. Ring, the doorbell camera startup owned by Amazon, offered some creepy ideas in a patent application it filed last year. The company described a way to stitch together a composite of a face that might have been captured by several different cameras. The face could then be remembered and shared by neighbors, and checked against a “database of suspicious persons” — either databases created by the neighbors themselves, or perhaps law-enforcement or immigration databases. This sounds like the far-off future, but much of it is here today. Ring already offers a neighborhood social network that lets users share pictures of “suspicious” people. Note also that neighborhood social networks are known hotbeds of racial profiling, and that facial recognition software is shot through with gender and racial bias. On top of all that, Ring offers ways for the police to tap into its neighborhood networks: As The Intercept reported, cops can look up neighbors’ comments and even request their video footage. But it gets worse. Doorbell camera companies say they don’t spy on your videos. But they do not forswear using other information gleaned from the smart home — like a log of times you’re likely to be home and not — to make predictions about you, to develop new products and business ideas, and to better market to you. And it’s not just the doorbell camera manufacturers you have to worry about. Last year, Congress repealed privacy rules meant to prevent broadband companies from analyzing your private information; as a result, your internet service provider might well be able to glean information about your comings and goings from your doorbell camera — and perhaps to sell it. To examine how carelessly we’re thinking about privacy as we head into this digital future is to be confronted with a stark truth: We are building a surveillance state no less totalitarian than the one the Chinese are rigging up. But what China is doing through government, we are doing through corporations and consumer products, in the absence of any real regulation that recognizes the stakes at hand. 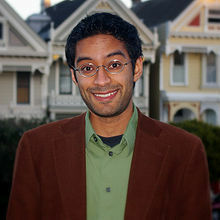 Farhad Manjoo became an opinion columnist for The New York Times in 2018.